Hey everyone, today we’re going to be doing a Stuhrling watches review aiming to answer the question “are Stuhrling watches good?”. This is something I see asked fairly often so I wanted to address it in a dedicated post today. First up we’ll take a brief look at the history of Stuhrling watches before then taking a look at the 6 best Stuhrling watches for men, with a range of both automatic and quartz timepieces. 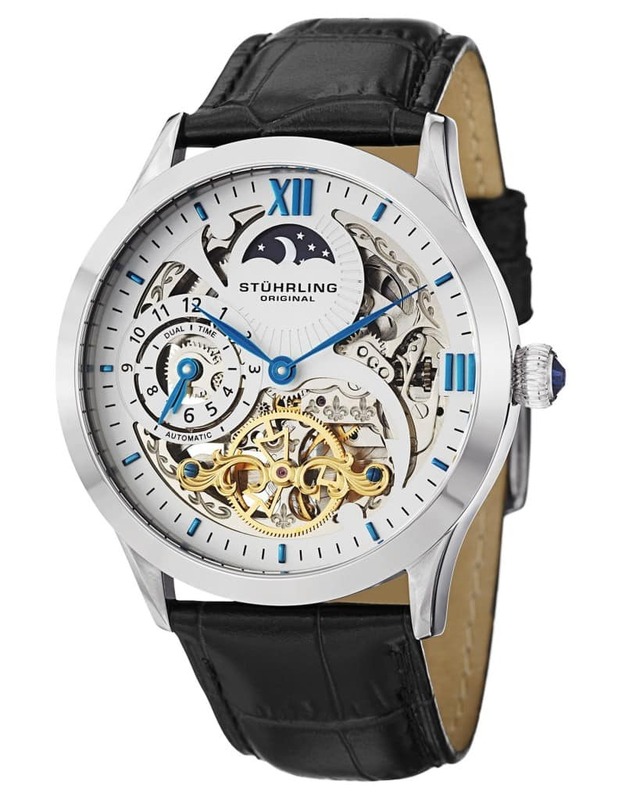 Stuhrling watches are an American company that was founded in New York in 1999. The company was actually founded by Chaim Fischer who decided to revive the name of a master watchmaker called Max Stuhrling for the name of the brand. Max Stuhrling was a watchmaker who lived in Switzerland back in the late 1800s. These days the company sells a huge range of both automatic and quartz timepieces, many of which feature Swiss components. Personally, I think Stuhrling watches are good for the money. When you’re in this sub £200 range I think they offer value for money when it comes to parts and design. They’re a brand with a huge selection of styles and designs on offer, so really do have something to suit everyone. 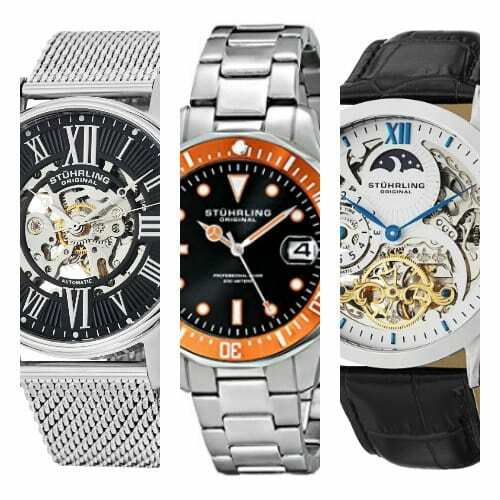 My favourites have to be their Stuhrling skeleton automatic watches. I just love the open heart design on the dials where you can see the automatic mechanisms at work. 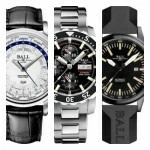 I’m going to take a brief look at 6 of the best Stuhrling watches for men now. I have plenty of Stuhrling watch reviews throughout the site to keep you busy too. My favourite from today’s selection has to be number 4 so make sure you don’t miss that model. First up in our Stuhrling watches review is the Stuhrling Ascot from the symphony collection. The Agent features this very simplistic minimalist style with a black dial and slim baton style hour markers completed with slim hands. It’s powered by a Swiss quartz movement for excellent timekeeping and is protected by a Krysterna crystal glass window which is known to be high quality. 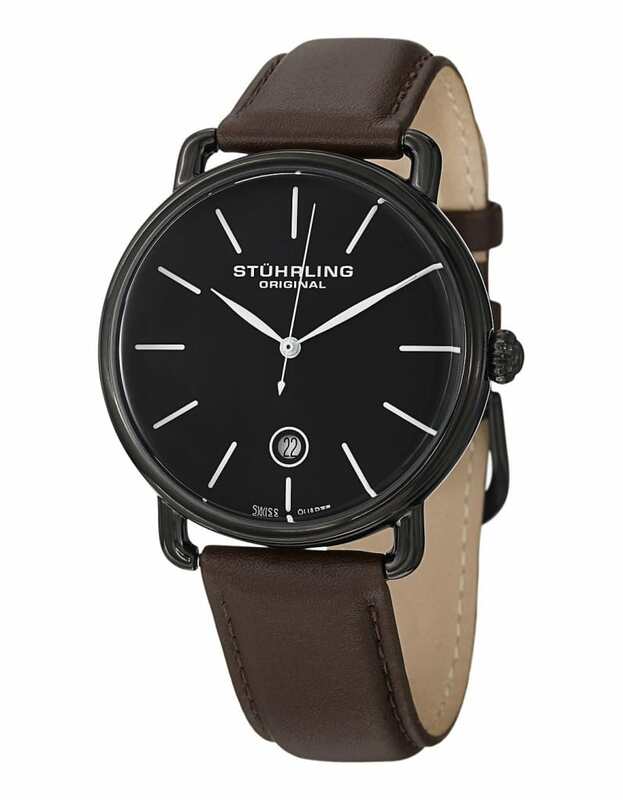 The Stuhrling watch fastens with a soft genuine leather brown strap and features a 50m water resistance rating. You can read my full Ascot Agent Stuhrling Watch Review here. The next model we’re featuring from the Stuhrling watch company is the Aquadiver Regatta Espora. It’s a men’s analogue display watch that runs on a Swiss quartz movement which is great to see. The model is aimed at those with an interesting in diving, it features a 200m water resistance rating as well as a clear easy to read display with the hands and hour markers coated in lume. You can read my full Aquadiver Stuhrling watches review soon. Here we have the first Stuhrling automatic timepiece from today’s list, and it’s an absolute beauty. I love the exposed mechanism on show with its skeleton dial design. The blue detailing also adds some nice touches. The watch runs on an automatic movement that’s charged up by the movement of the wearer’s wrists, never requiring a battery change which can come in useful. This model features Stuhrling’s Krysterna crystal glass and a soft genuine leather alligator embossed strap. You can read my full Stuhrling automatic Winchester review here soon. 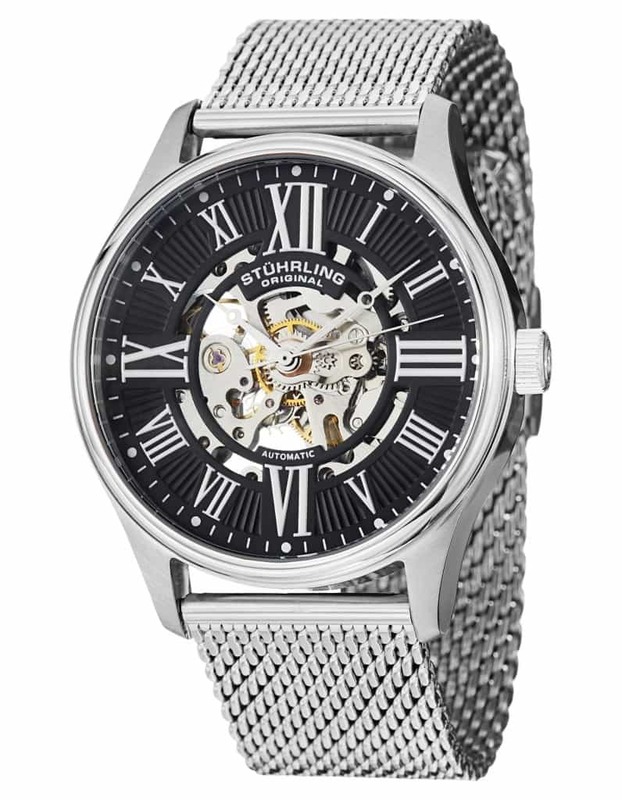 Up next we have another beautiful looking Stuhrling skeleton watch from the Delphi collection. It features a picturesque skeletonized dial with a graceful automatic mechanical movement at its heart. This model features an exhibition style caseback that allows you to take a look at the inner workings of the automatic movement, one of my favourite features on a watch. It also uses a Krysterna crystal glass and comes with a soft genuine leather strap. You can read my full Delphi Stuhrling watch review here soon. In at number 5 we have this beautiful Stuhrling Aquadiver with a prominent orange bezel that really makes the timepiece stand out. The bezel is unidirectional ratcheting winding and features minute numbering. As you’d expect from a Stuhrling diving watch, this model features a very good 200m water resistance rating. The dial is always very easy to read and has a magnifier above the date display. 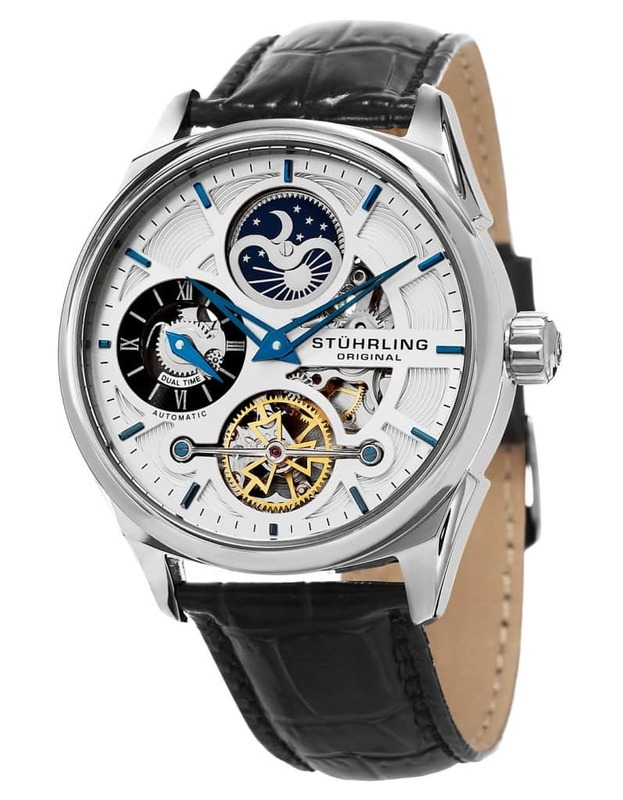 This Stuhrling watch is powered by a quartz movement for reliable and accurate timekeeping. 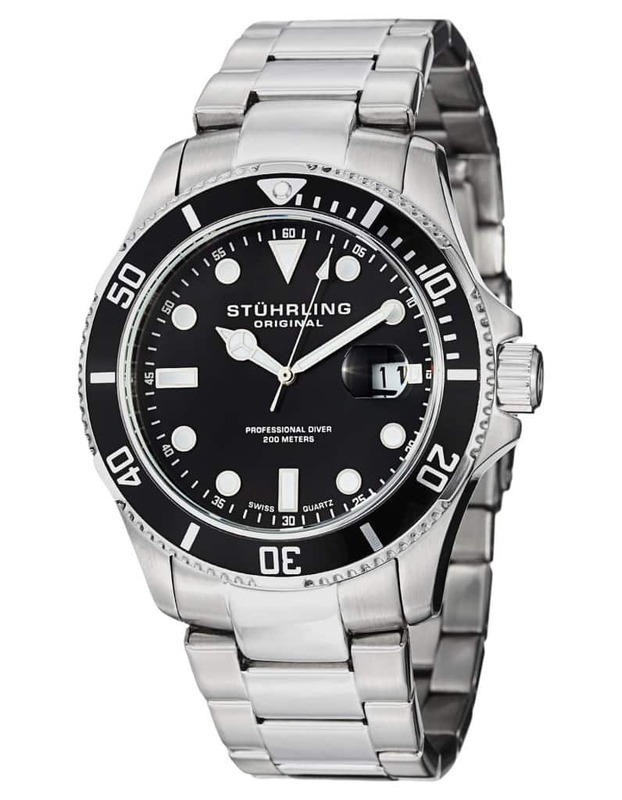 You can read my full Aquadiver Stuhrling watch reviews here soon. The last timepiece to be featured in our Stuhrling watches review is this mesh strap edition, the Stuhrling Atrium Elite. The Stuhrling Atrium features this large interesting display with a semi-exposed dial and large Roman numerals. I like the look of the automatic movement being on show through the dial and the exhibition caseback. A key featured for this range of Stuhrling watches is the mesh style strap. These mesh straps have been becoming more and more popular lately. They have a smart look to them as well as offering a good level of comfort. They’re also very easy to adjust when need be. You can read my full Atrium Elite Stuhrling watch review here soon. 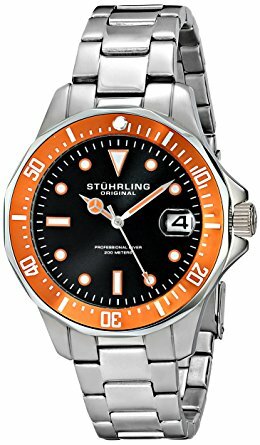 Conclusion are Stuhrling watches good? Stuhrling will always be one of my go to watch brands for affordable timepieces. I’m more a fan of their automatic range than the quartz range but that’s just my personal preference for automatic watches. Hopefully, if you’re someone who was wondering how good are Stuhrling watches? Or are Stuhrling watches good? this article may have helped you out a little. 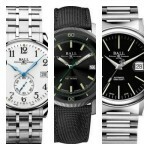 If you want to see more of the brand you can read one of my older articles, 21 most popular Stuhrling watches for men. 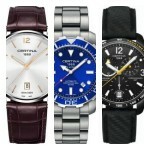 Certina Watches Review – Are They Any Good? Thanks for your Stuhrling watches review. I really liked number 5. It kind of has that dive style doesn’t it? I love the orange bezel too, what a stand out colour!